When we go out to eat we are usually ready to have a salad before you eat our main meal. Its crispy, refreshing, and sometimes with the right dressing quite craveable. Olive Garden salad is a well known salad that people crave or and over again, many make it a meal with soup and breadsticks. This copy cat recipe, now made vegan is great by itself for a lunch for work, friends, or romantic night in. Serve the dressing with you favorite salad mix or great with the traditional olive garden mix and toppings. Sure to make you crave it and have it well stocked in your fridge, no more store brand bottles for you. Enjoy! *A pinch of sugar optional, I didn't use it in this recipe (I prefer the dressing with no sugar) but use your taste and add if you like. 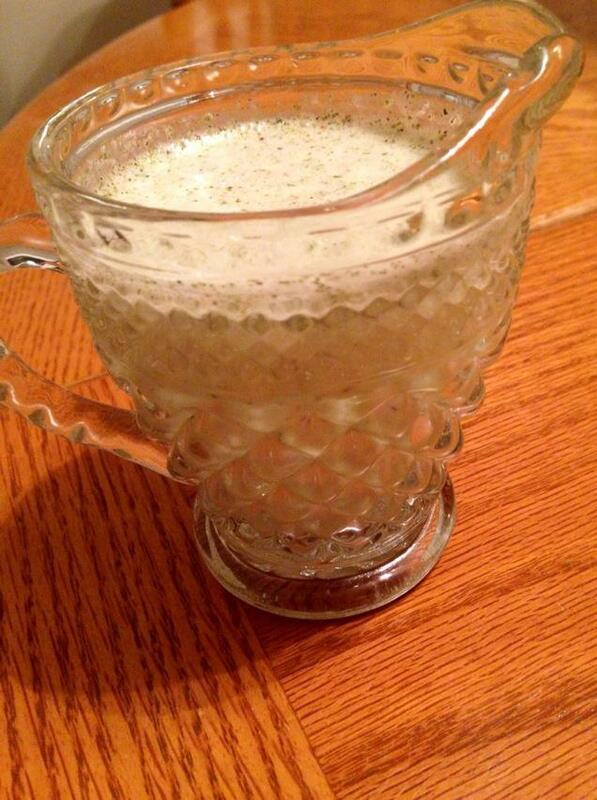 Place all ingredients in a blender and combine until well mixed. You can enjoy your Olive Garden salad dressing for about 10 days if stored in an airtight container in the refrigerator. 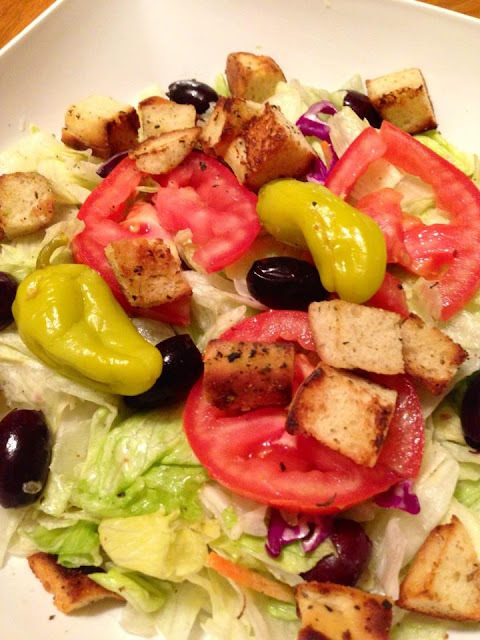 Serve the dressing with the Olive Garden Salad type mix, croutons, Roma tomatoes, olives, and Peperoncini. You can also use this Olive Garden salad dressing for vegetables, tofu, or vegan meats that you might like to grill. Enjoy! It does not last 10 days...It disappears very quick.